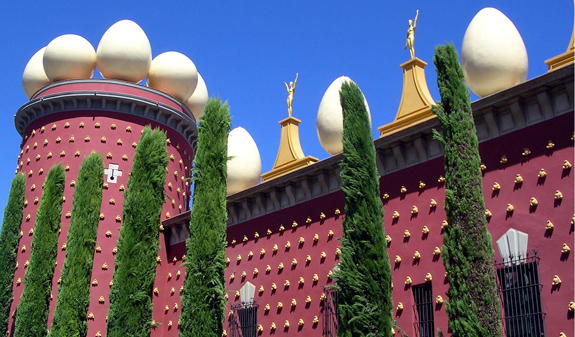 We invite you to take a train journey from Barcelona to Figueres, to enjoy the Teatre-Museu Dalí, the artist's final masterpiece, which he conceived and designed to give visitors a truly unique experience. Enter Dalí's universe and let yourself be captivated by surrealism. 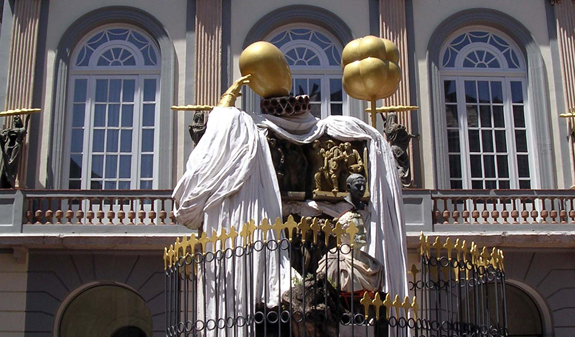 You'll start the day with a ride in an ecotaxi from your hotel to Sants Station where you'll board the high-speed train to Figueres,the hometown of the greatest exponent of surrealism, Salvador Dalí. 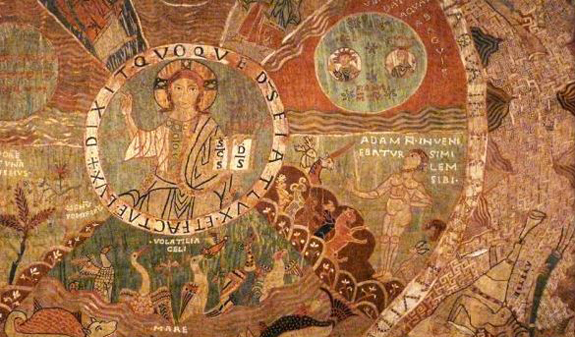 You'll go to the Teatre-Museu where you'll be able to view more than 1,500 works by the visionary artist. The Teatre-Museu Dalí was built on the ruins of a theatre destroyed during the Spanish Civil War and redesigned by Dalí himself. During the visit you'll come across his famous elephants and melting watches. You'll see his beloved Gala through his eyes, along with views of Cadaqués and works by many other artists Dalí admired, such as Duchamp, Fortuny, Pitxot and El Greco. Girona invites you on a pleasant stroll through its Jewish Quarter ' which is one of the best preserved in Europe and its medieval walls. Ecotaxi ride from your hotel to Sants Station. 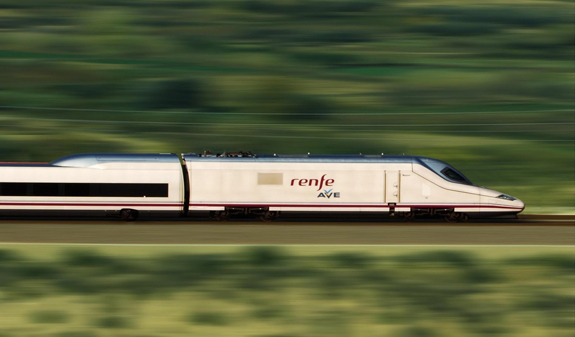 Return trip on the high-speed train (AVE) (140 km) from Barcelona Sants to Figueres. 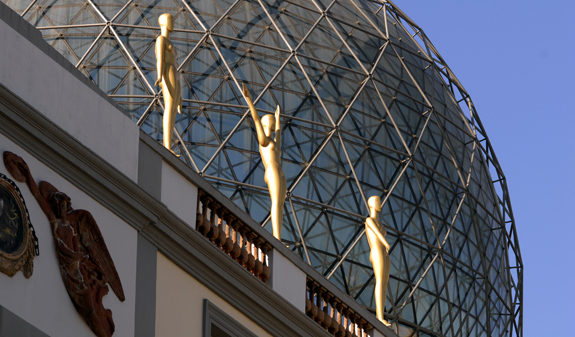 Guided tour of the Museu Dalí. Dalí's Museum and Girona option includes the admission at Girona Cathedral and free time to visit the city. The return trip on AVE is from Girona. Times: from 2/4 to 2/11, Tuesday, Thursday and Saturday, at 7:30am. Length: around 6 hours -option Dalí's Museum, 10hours -option Dalí's Museum and Girona. 50 minute high-speed train journey. Meeting point: at your hotel. BGB will contact you to confirm your hotel dress. Please check your phone or email for notifications. It will not be possible to book the AVE without confirmation of the exact hotel adress. A valid mobile phone number and/or e-mail address must be provided. You must travel with your passport or ID card. It may be required on the train. Children from 0-2 years free.